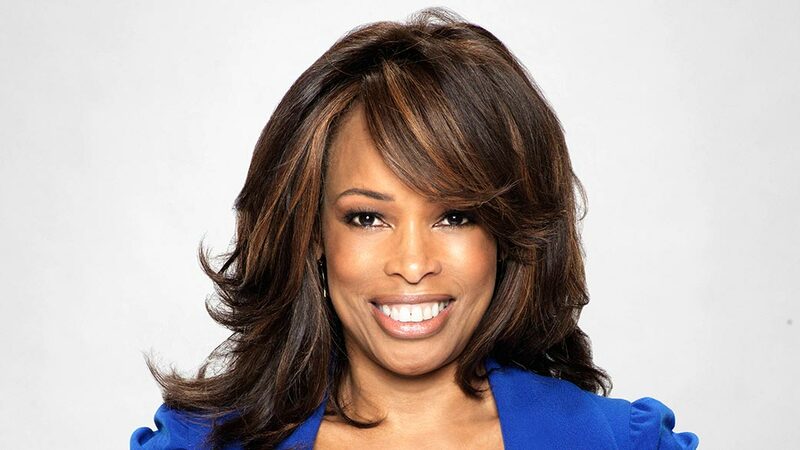 LOS ANGELES – FOX Sports’ veteran sportscaster Pam Oliver has been named a 2018 Gracie Awards winner for her exemplary contributions in sports announced today by the Alliance for Women in Media Foundation (AWMF). She will accept the award at the 43rd annual Gracie Awards Gala highlighting women in television, radio, cable and social media in Beverly Hills on Tuesday, May 22. Oliver currently serves as senior correspondent, contributing feature stories and sideline reports for FOX NFL and FOX NFL SUNDAY. Oliver has been part of FOX Sports family for over two decades and has been part of FOX’s coverage of eight Super Bowls since joining the network in 1995. A graduate of Florida A&M University, Oliver earned her degree in broadcast journalism and was a NCAA and AIAW track and field All-American in both the 400 meters and the mile relay. She was inducted into her alma mater’s sports hall of fame in 1996. The Gracie Awards celebrates the individual achievements and impeccable programming created by, for and about women in radio, television, cable and interactive media. Honorees were selected in national, local and student markets, including both commercial and non-commercial outlets. The Gracie Awards celebrates the individual achievements and impeccable programming created by, for and about women in radio, television and interactive media. Honorees were selected in national, local and student markets, including both commercial and non-commercial outlets. 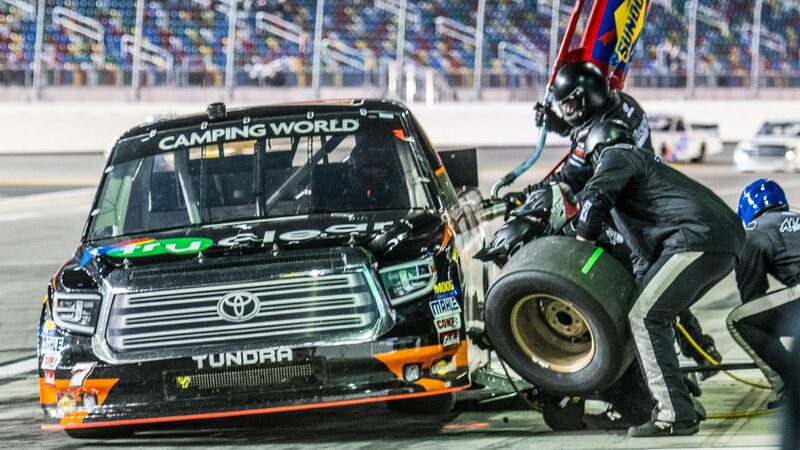 FOX Sports announces today that the August NASCAR CAMPING WORLD TRUCK SERIES race from Bristol Motor Speedway will move from August 15 to August 16 and will air live on the FOX broadcast channel. The race, originally scheduled for August 15 on FS1, will air live on FOX at 8:30 PM ET (pre-race coverage begins at 8:00 PM ET on FOX). 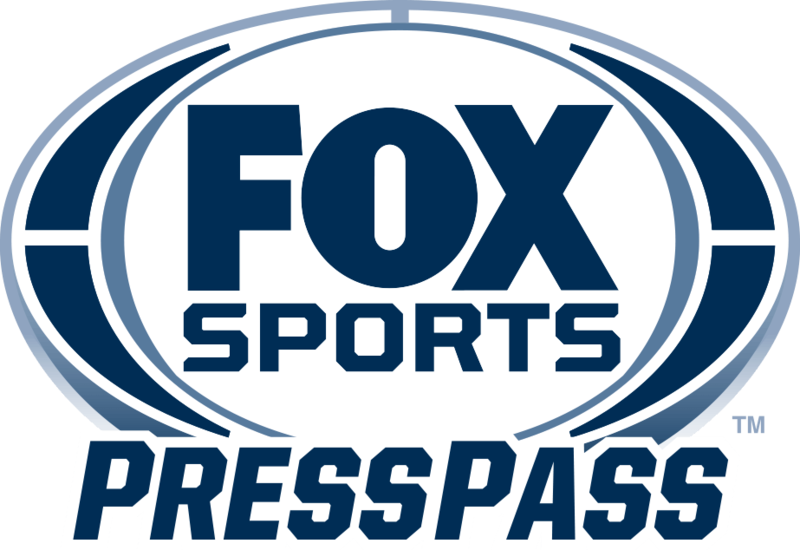 FOX also will offer live coverage of the October 13 NASCAR CAMPING WORLD TRUCK SERIES race from Talladega Superspeedway (1:00 PM ET), while the balance of the series schedule airs live on FS1 in 2018. The entire FOX NASCAR schedule is available live on FOX Sports GO. Please visit www.FOXSports.com/NASCAR/Schedule for updated versions of all three NASCAR national series schedules. NEW YORK – Today, FOX Sports unveils its 2018 USGA Championship television schedule, featuring more than 150 hours of live linear coverage across nine championships, highlighted by more than 45 hours of coverage of the 118th U.S. Open Championship at Shinnecock Hills Golf Cub in Southampton, N.Y., in June across FOX, FS1, FOX Deportes and concurrent streaming on FOX Sports GO. 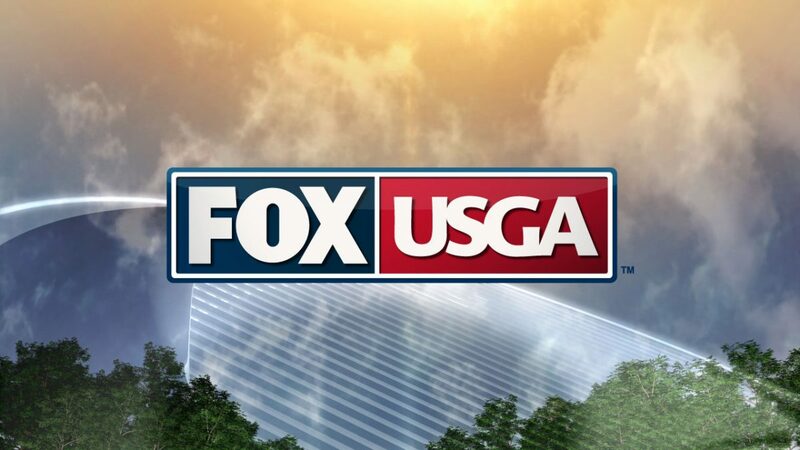 FOX Sports’ 2018 USGA coverage begins with the 73th U.S. Women’s Open Championship at Shoal Creek Country Club in Shoal Creek, Ala. Coverage starts Wednesday, May 30, with live practice round action on FS1, and complete championship coverage airs on FS1 and the FOX broadcast network from Thursday, May 31 to Sunday, June 3. On Monday, June 4, the network’s U.S. Open preview coverage begins in earnest with the U.S. OPEN SECTIONAL QUALIFYING SHOW at 10:00 PM ET on FS1, and continues Thursday, June 7 with groupings announcements on THE HERD WITH COLIN COWHERD at 12:00 PM ET on FS1. Next, the FOX Sports team travels to Scarsdale, N.Y., for the 40th Curtis Cup Match at Quaker Ridge Golf Club, airing on FS1 from Friday, June 8 to Sunday, June 10, before making the quick trip across the Long Island Sound to Shinnecock Hills for the start of U.S. Open Week on FOX. On Tuesday, June 12, CELEBRATION OF CHAMPIONS, a brand new event featuring the USGA’s reigning champions in a unique team competition on-site at Shinnecock Hills, tees off the week’s programming at 4:30 PM ET on FS1. Live U.S. Open championship coverage begins Wednesday, June 13, with practice rounds, player interviews, features and additional preview content on WEDNESDAY AT THE U.S. OPEN at 9:30 AM ET on FS1. Competition officially begins on FS1 from 9:30 AM to 4:30 PM ET on Thursday, June 14, while second round action airs from 10:00 AM to 4:30 PM ET on Friday, June 15, before shifting to FOX from 4:30 to 7:30 PM ET each day. Third-round competition on Saturday, June 16 airs from 11:00 AM to 7:30 PM ET on FOX and from 4:00 to 7:30 PM ET on FOX Deportes. A champion is crowned following the final round on Sunday, June 17, from 10:00 AM to 7:00 PM ET on FOX and from 4:00 to 7:00 PM ET on FOX Deportes. FOX Sports continues its presentation of the nation’s premier golf major championships from the 39th U.S. Senior Open Championship from The Broadmoor (East Course) in Colorado Springs, Colo. Coverage starts Wednesday, June 27 with live practice round action on FS2 and complete championship coverage airs on FS1 from Thursday, June 28 to Sunday, July 1. The network’s USGA coverage continues with the 1st U.S. Senior Women’s Open Championship from Chicago Golf Club in Wheaton, Ill., featuring third and final round action on FS1 on Saturday and Sunday, July 14-15. The network also provides live coverage from four additional USGA amateur championships: the 71th U.S. Junior Amateur Championship, July 20-21; the 117th U.S. Women’s Amateur Championship, Aug. 8-12; the 118th U.S. Amateur Championship, Aug. 15-19; and the 38th Mid-Amateur Championship, Sept. 26-27. All linear USGA championship coverage is streamed concurrently on FOX Sports GO. The U.S. Open, U.S. Women’s Open, U.S. Senior Open, U.S. Amateur and U.S. Women’s Amateur are also supplemented by unique digital bonus streams that offer viewers access a wealth of live golf action on FOX Sports GO and usga.org. Eric Shanks is President, COO and Executive Producer of FOX Sports. Mark Silverman is President, FOX Sports National Networks. John Entz is President, FOX Sports Production & Executive Producer. Mark Loomis is the Executive Producer for USGA studio and event production. Steve Beim serves as lead director. Shoal Creek Country Club, Shoal Creek, Ala.
Shinnecock Hills Golf Club, Southampton. N.Y. The Broadmoor (East Course), Colorado Springs, Colo.
Chicago Golf Club, Wheaton, Ill.
Charlotte Country Club, Charlotte, N.C. The most-talked about storyline of the young MLB season comes to FS1, as Los Angeles Angels two-way sensation Shohei Ohtani makes his next scheduled start on the mound against the Kansas City Royals Sunday at 2:00 PM ET. Coverage of the matchup, which is a recent addition to FS1’s national schedule, begins at 1:30 PM ET with a 30-minute pregame show hosted by Kevin Burkhardt with analysts Nick Swisher and Dontrelle Willis. Burkhardt, Swisher and Willis return with a 60-minute postgame show to wrap up the action. First pitch is scheduled for 2:15 PM ET from Kansas City’s Kauffman Stadium with play-by-play announcer Victor Rojas, analyst Mark Gubicza and reporter Ken Rosenthal calling the game. The game is also televised locally on FOX Sports West and FOX Sports Kansas City, as regularly scheduled. NEW YORK, NY – The stories behind on-field success and failure aren’t always what they seem, but players know that an invitation to the Cape Cod Baseball League means they must do one thing, prove they belong in the big leagues. 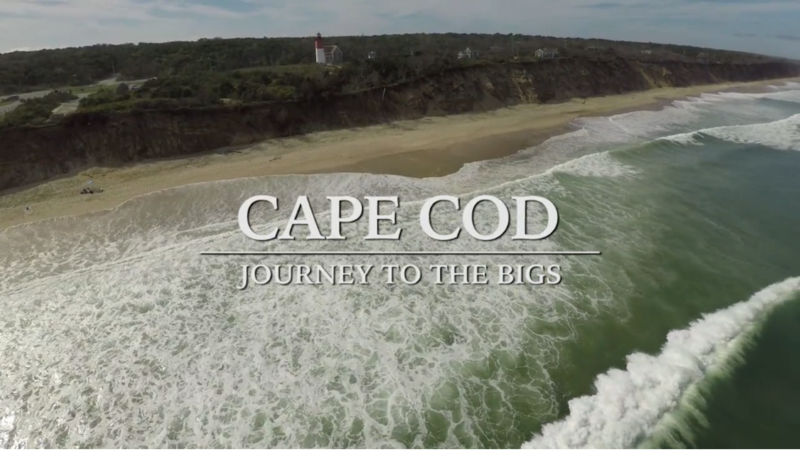 CAPE COD: A JOURNEY TO THE BIGS tells the story of aspiring college and amateur baseball players as they commit on and off the field to make their dreams come true. CAPE COD: A JOURNEY TO THE BIGS premieres Tuesday, April 17 on FS1 at 11:00 PM ET, following the network’s exclusive coverage of the Cleveland Indians at Minnesota Twins at 7:00 PM ET and weeknight program MLB WHIPAROUND at 10:00 PM ET.The special also airs on FOX Sports regional networks on Wednesday, April 18 (check local listings). Every summer, players from around the country gather in Cape Cod, Mass. in front of top Major League Baseball scouts to try to make their dreams of making “The Show” a reality. But the Cape Cod Baseball League provides more challenges than that. It is a taste of the unseen grind of life in professional baseball. The special follows Griffin Conine (Duke), Tristan Pompey (Kentucky) and Chandler Day (Vanderbilt) who all played in the Cape Cod Baseball League last summer with varying degrees of success. Conine, the son of former big leaguer Jeff Conine, began forging his own baseball identity by winning MVP of the league. Pompey, after hitting two homeruns in his first game, struggled to regain the form that had scouts calling him a “bigger, faster, stronger” version of his brother, Major Leaguer Dalton Pompey. Day, a pitcher from Vanderbilt University, battled demons on the mound after the drowning of his best friend and teammate. But players’ unique paths are connected by a mutual relentless desire to make it. Six years removed from the Cape Cod Baseball League is Jason Wheeler, who, while his wife (whom he met in the Cape) cheered him on in the stands, finally saw his determination made fruitful when he stepped on the mound for the Minnesota Twins in 2017. But like all professional athletes must learn, sports is a business. Within a week of making his MLB debut, Jason was traded twice, and landed back in the Minors. Now 27 years old, Wheeler and his wife have a decision to make…retire and finally start a family or try and keep the baseball dream alive for one more season. The Cape Cod Baseball League has produced hundreds of Major Leaguers including current players & All-Stars Aaron Judge, Andrew Miller, Jason Kipnis, as well as former Cy Young winner Tim Lincecum and former NL MVP Ryan Braun. But the league’s most star-studded class reigned in 1988. Dubbed ‘The Great Cape in ’88’, 42 players made it to the Majors that year including FOX’s own MLB analysts Frank Thomas and Mark Sweeney. CHARLOTTE, N.C. — The MONSTER ENERGY NASCAR CUP SERIES heads to Bristol Motor Speedway this weekend, with FOX Sports set to offer more than 18 hours of live action from the half-mile concrete oval. Included are FOX’s live race coverage of the MONSTER ENERGY NASCAR CUP SERIES on Sunday, April 15 (2:00 PM ET) and FS1’s live telecast of the NASCAR XFINITY SERIES on Saturday, April 14 (1:00 PM ET). Below is programming information for the weekend ahead, as well as quotes from FOX NASCAR analysts Larry McReynolds and Hall of Famer Darrell Waltrip, NASCAR’s winningest driver of all-time at Bristol with 12 victories. Additionally, included are McReynolds’ and Waltrip’s thoughts on the new rules and format for the May 19 MONSTER ENERGY NASCAR ALL-STAR RACE (live on FS1 at 8:00 PM ET), announced on tonight’s NASCAR RACE HUB on FS1. o NASCAR RACEDAY offers: an essay on the weekend Alan Kulwicki was killed, voiced by his then-hauler driver Peter Jellen; a “Where’s Wallace” piece from the Tennessee/Virginia state line with Kenny Wallace; a feature on the life and career of Kasey Kahne; and live interviews with Kyle Busch and Darrell “Bubba” Wallace Jr.
What is your reaction to the news that Cup Series teams will run restrictor plates in the Monster Energy NASCAR All-Star Race at Charlotte Motor Speedway? If the All-Star Race rules package is a success, would you support NASCAR trying it in the Cup Series in another race down the road? Who in the current field of drivers is best-suited for Bristol and the driving style it requires? Who is your pick to win Sunday’s race? Some Cup Series teams have had issues with the newly mandated pit guns in recent weeks, and Kevin Harvick this week expressed his displeasure with them. Where do you stand on this topic? Should they be regulated or should teams again be allowed to build their own? Are there any surprises in the point standings headed into Bristol? 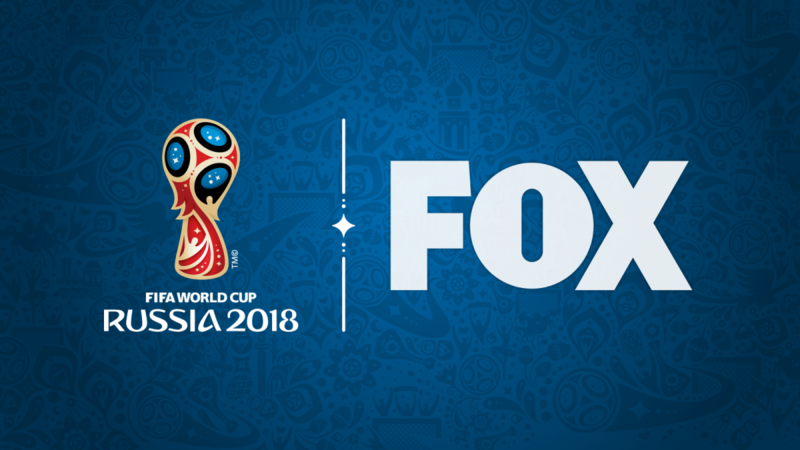 It’s safe to say that not many viewers who will tune in to watch the 2018 FIFA World Cup in Russia, which begins June 14 on FOX, will care about every one of the 32 teams in the tournament. But is it possible to get each viewer to care about just one more player, team or match — and maybe more beyond that? Absolutely, and Jennifer Pransky, Senior Coordinating Producer of Features for FOX Sports, is the person who will make that happen. I recently spoke with Jennifer, who is in charge of post-production content for many of FOX Sports’ biggest sporting events – she’s worked on the World Cup, Super Bowl, Daytona 500, World Series and many others – about how she thinks about and approaches features for the upcoming World Cup, what the absence of the U.S. Men’s National Team from the tournament means for her group’s work, and how this World Cup is different from the 2015 Women’s World Cup. Can you talk about what audiences can expect in the way of features for the 2018 World Cup? My goal is to give people a reason to cheer for and care about teams they normally would not have. There are 32 teams and 64 matches, and you’re not going to have a personal interest in all of them. But maybe we can share a story about a certain player or team so you can connect to them. And then you have a reason to root for that team, and a reason to watch those games and maybe the next game they’re playing in. So that’s my goal: to drive interest in the tournament based on that human connection. That sounds familiar. When we spoke with David Neal a couple years ago, he mentioned your incredible work for the Women’s World Cup in 2015 as an important way to attract casual fans or non-fans to tune in. He said those features introduced athletes from around the world as characters that give viewers a reason to care about a team or game they might not otherwise have an interest in. What goes into planning these features? Our research department has been connecting with teams, talking to press officers, and trying to dig and find some information that isn’t commonly known already. I have also been getting a lot of great story ideas from staff in various departments, which is pretty cool. Also, various people from around FOX Sports have been sending me story ideas for the past few years. We want to find those little things that will make people feel like they’re getting some new knowledge or insight, things that will create that human connection. There are so many great stories I want to tell, so it’s important to build a comprehensive plan and map out a strategy ahead of the tournament. How has the U.S. Men’s National Team’s absence from the World Cup changed your approach to this year’s features, if at all? We would’ve paid a lot of attention and put a lot of effort and energy toward telling the stories of the U.S. team. They were going to be our most important team, but they were still just one of 32. As much as I would rather have had the U.S. in it, as a unit that’s here to tell stories and introduce audiences to players they don’t know, this is actually more of an exciting challenge because we now have the bandwidth to get out there a little more and tell new stories. Personally, I was very upset; professionally, it’s something that opened some great creative opportunities for us. How does your experience with this year’s World Cup compare with your experience creating 60+ features for the Women’s World Cup in 2015? The Women’s World Cup was our first time, so that had its own excitement. The opportunities we had with a lot of the women’s teams were terrific because of the access they afforded us. The women saw it as a great opportunity to work with us and understood that that might be the first time people were hearing about them. An important part of this is also that our platform was so big, and the women were smart enough to use that to grow their sport. The women’s final was the most-watched soccer match in the USA ever, men’s or women’s. We got some great cooperation with some of the teams and a lot of the players, so that was really an amazing experience. For this men’s World Cup, access is limited due to demanding schedules. We have to be more creative and interesting in our approach so we can make it worth their while. You’ve worked on a lot of important sporting events. How does the World Cup compare with other big events, from your view? Well, the World Cup is the largest production FOX has ever done, and it’s the biggest thing I’ve ever done. It’s kind of a big deal! It’s also the longest we’ve been able to work on any event or property, which is an exciting thing. Even for a Super Bowl, we know the teams only two weeks before it happens, so you plan as much as you can, but at some point, you only have those couple weeks to execute anything. Whereas for the World Cup — yes, the rosters and teams aren’t decided until May or the beginning of June, and the teams aren’t even really qualified until a year before, but we’ve been able to plan generally for a couple years now, and that’s what’s so unique. Normally, I feel like my work has a short turnaround of a week or a month. But now we’ve got this thing that we’ve been working on for three years, so the culmination is going to be exciting. I will say that these global soccer tournaments have been some of my favorite things to work on. There’s just something about this game. It doesn’t matter if we’re here at 1 a.m. for several weeks in a row, there’s just a great energy among the people and team we’re working with, and that’s a lot of the stuff I remember afterward: the experience of working with everybody, having done it with people. It’s only fun because we get to share it, right? Click HERE to view the original post on 21st Century Fox Blog. LOS ANGELES, CA – Today, FOX Sports announces two current and two former UFC champions anchor broadcast duties for FOX UFC FIGHT NIGHT: POIRIER VS. GAETHJE live from Glendale, Arizona on Saturday, April 14 (8:00 PM ET) on FOX and FOX Sports GO. 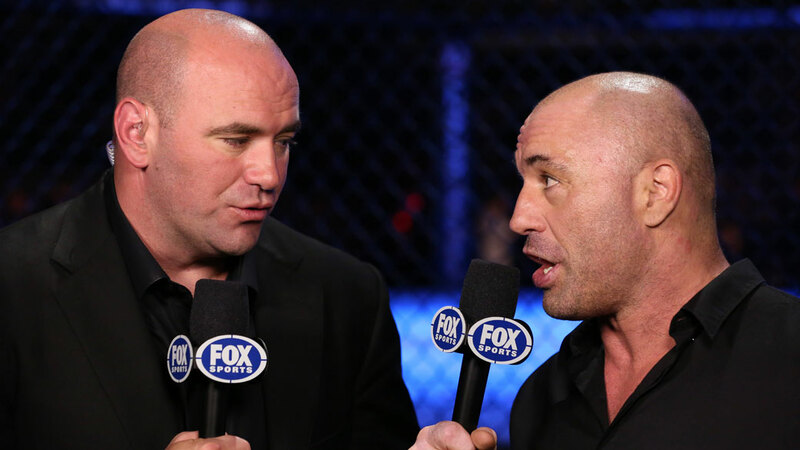 UFC light heavyweight champion Daniel Cormier and former bantamweight champion Dominick Cruz join blow-by-blow announcer Jon Anik to call all the fights on FOX. Victor Davila and Marlon Vera have the call in Spanish on FOX Deportes. UFC welterweight champion Tyron Woodley and former middleweight champion Michael Bisping work as desk analysts alongside FOX host Curt Menefee, and lead UFC host Karyn Bryant on FS1 and FS2. Reporter Megan Olivi reports from Glendale for Friday and Saturday’s coverage. Two of the lightweight division’s most exciting fighters face off in a Fight of the Year candidate, as No. 5-ranked Dustin Poirier (22-5, 1NC) takes on No. 6 Justin Gaethje (18-1) in the main event of FOX UFC FIGHT NIGHT. Both Poirier and Gaethje are coming of Fight of the Night efforts last fall, with Poirier stopping Anthony Pettis in three rounds, while Gaethje engaged in a classic with Eddie Alvarez. Gaethje, a former World Series of Fighting champion, has thrilled UFC fans in his two Octagon bouts. He will have a willing foe in Poirier, a member of the UFC roster since 2011, and winner of six bouts since returning to 155 pounds in 2015. FOX Sports UFC programming starts on Wednesday, April 11 with UFC TONIGHT airing at a special time, 10:00 PM ET, on FS1 and FOX Sports GO, with host Cormier and guest host Bisping interviewing Poirier and Gaethje about their Saturday headliner. On Friday, April 13 (8:00 PM ET), the UFC FIGHT NIGHT WEIGH-IN SHOW begins with Bryant, Woodley and Bisping discussing the fighters, and Olivi reporting on FS1 and FOX Sports Go. The same crew gets things started on Saturday at 5:00 PM ET with the UFC FIGHT NIGHT PREFIGHT SHOW on FS2 and FOX Sports GO, previewing the evening’s fights. The two-hour UFC FIGHT NIGHT PRELIMS on FOX, FOX Deportes and FOX Sports GO begin at 6:00 PM ET with four thrilling bouts. Middleweights Tim Boetsch (21-11) and Antonio Carlos Junior (10-2, 1NC) collide. Muslin Salikhov (12-2) and Ricky Rainey (13-4) battle in a welterweight bout. No. 6-ranked flyweight Wilson Reis (22-8) takes on No. 10 John Moraga (18-6), while No. 13 Krzysztof Jotko (19-3) and No. 15 Brad Tavares (16-5) open the PRELIMS with an exciting middleweight scrap. Saturday’s two-hour main card (FOX, FOX Deportes and FOX Sports GO, 8:00 PM ET), also features No. 12-ranked welterweight Carlos Condit (30-11) facing Alex Oliveira (17-5). Undefeated middleweight Isreal Adesanya (12-0) and Marvin Vettori (12-3-1) square off. Plus, No. 7 Michelle Waterson (14-6) and No. 10 Cortney Casey (7-5) open the main card with a strawweight bout. Saturday’s action wraps up with the UFC FIGHT NIGHT POSTFIGHT SHOW on FS2. Leading up to their fights, UFC fighters offer unique, behind-the-scenes clips on FOX Sports PROcast and the FOX UFC social pages. All programs are on FOX Sports on SiriusXM channel 83 on satellite radios and on the SiriusXM app. 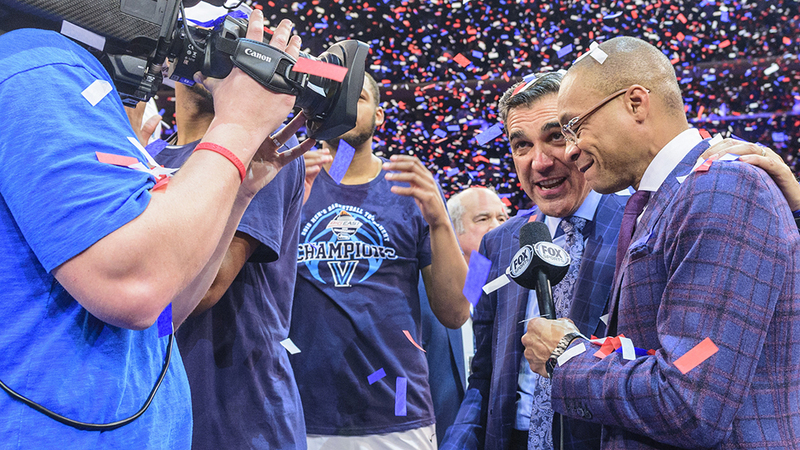 As the confetti settles on Villanova’s second NCAA title in three years, FOX Sports, the television home of the BIG EAST Conference, celebrates the Wildcats’ legendary season with SUPER NOVA: VILLANOVA’S CHAMPIONSHIP RUN, Friday, April 6, at 8:00 PM ET on FS1. In this 30-minute special, Villanova head coach Jay Wright and star players Jalen Brunson and Mikal Bridges join FOX Sports college hoops analyst Steve Lavin in Los Angeles to discuss the dynasty they’ve created in Philadelphia and how the program became the first since Florida in 2006-07 to win two titles in the span of three years. In the FOX Sports studios, host Kevin Burkhardt presents viewers with additional highlights and features from Villanova’s historic run, including Donte DiVincenzo’s record-breaking performance off the bench in the title game, a profile on Omari Spellman, and a glimpse at how Villanova fans around the country reacted to the championship win.